Beamlock kits can be made to suit any design or style of building or structure, some examples are shown below. 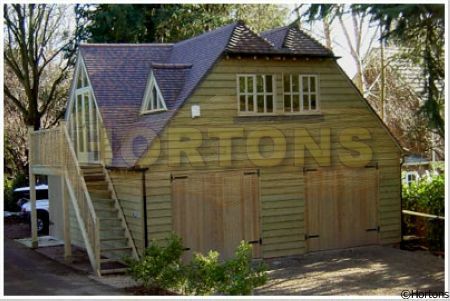 Here is our range of Oak frame 'style' garages. Our kits are available with 3 different roofing styles: Barn-end, Hipped and Gabled-end. Each model has the option for additional bays. Don't forget each standard design can be customised to suit your requirements. Please contact for details.